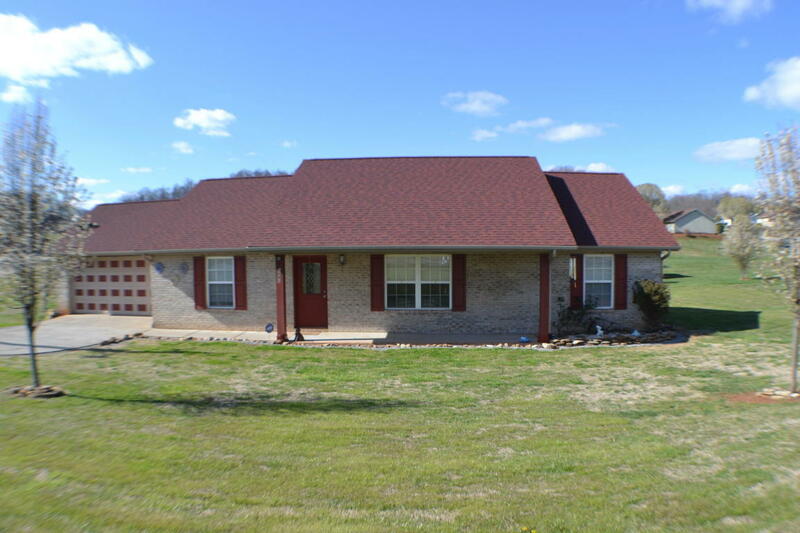 One Level, Country Living, but only 20 min or less to shopping, schools, churches & so forth!!! This home offers no step entry at front door & garage, split bedroom floor plan, laundry room, new carpet in living room & dining room, mostly new painted interior, 6 mo old hot water tank, roof in 2015, septic pumped 6 mo ago, red building is 6 years old w/elec, playhouse shed is 2 years old, swing set is about 3 years old, garden spot is very productive!!! Garage has a 220 plug.